On October 31, 1517 an unknown monk nailed a theological pamphlet to a church door in a small university town and set in motion a process that helped usher in the modern world. Within a few years Luther's ideas had spread like wildfire. His attempts to reform Christianity by returning it to its biblical roots split the Western Church, divided Europe, and polarized people's beliefs. Yet Luther was a deeply flawed human being: a fervent believer tormented by spiritual doubts; a prolific writer whose translation of the Bible would shape the German language yet whose attacks on his opponents were vicious and foul-mouthed. Perhaps surprisingly, the man who helped create in the modern world was not modern himself: for him the devil was not a figure of speech but a real, physical presence. Acclaimed historian Lyndal Roper explains how Luther's impact can only be understood against the background of the times. 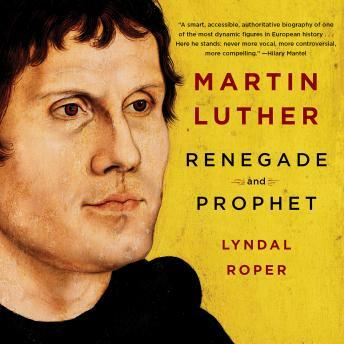 As a brilliant biographer, she gives us the flesh-and-blood figure, reveals the often contradictory psychological forces that drove Luther forward, and the dynamics they unleashed, which turned a small act of protest into a battle against the power of the Church.